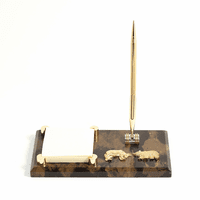 FEATURES/SPECS Simply magnificent is what this notepad holder and pen stand is. 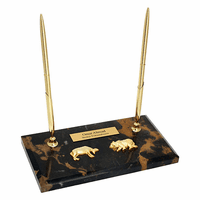 The elegant black marble with gold accents is sure to class-up even the dreariest of desks. 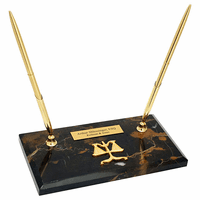 The Scales of Justice emblem is perfectly polished and attached in front of the pen stand. 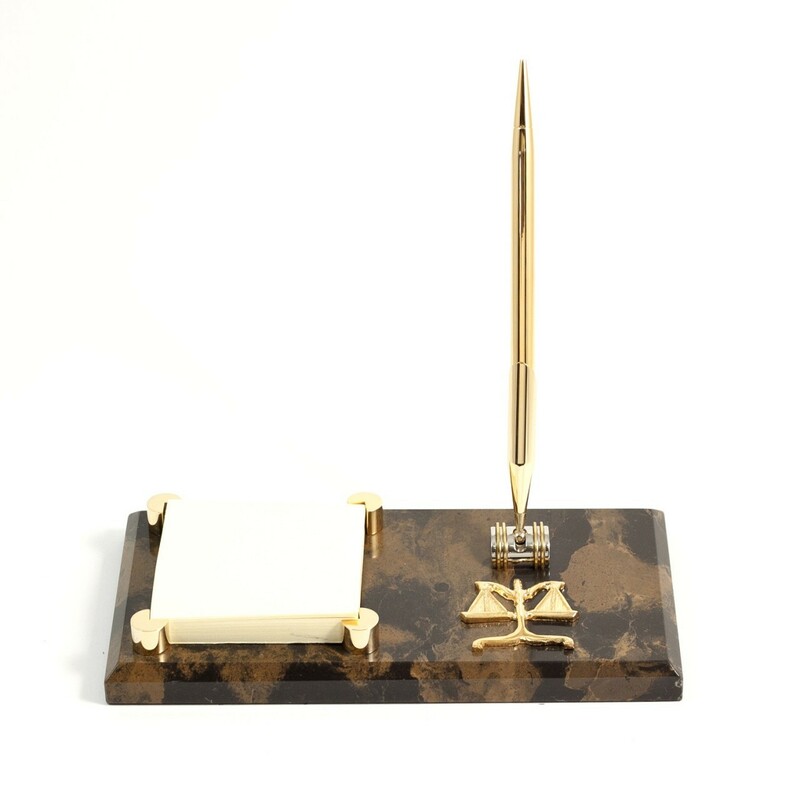 The gold colored pen and notepad holders are the perfect finishing details for this prestigious gift. Dimensions: 8" x 4 1/2"
Is the engraving in the pen? No, it goes on a plate mounted on the marble base.